If you’ve been reading my blog for a while, you’ll know that (if I’m not painting my nails red) then I’ll tend to lean towards a cool toned shade. Gimme grey, blue, green… anything on that spectrum and I’ll be a happy person. As I’ve been wearing a few of these shades a lot, I thought I’d share for any fellow cool-lovin’ gurls out there so you can dash out to boots and snap these babes up. Starting with the top of the swatches, Essie In The Cab-Ana is a really beautiful bright blue shade. Almost that Tiffany shade, but not quite as minty. It’s a bold shade that’s opaque in two coats and the formula has such a creamy finish, which I adore. Next is my most worn shade of 2014 (I’m wearing it right now) which is Essie After School Boy Blazer. I didn’t think much of this when it was first released, but I picked it up cheap online and was sad that I didn’t buy it straight away! It’s one of those almost-black navy shades, solid in two coats and just looks so chic. I can’t stop painting my nails in it! Up next is a very bold love it or hate it kinda shade, which is Essie Mojito Madness. It’s very green and quite bright, but I really like it. 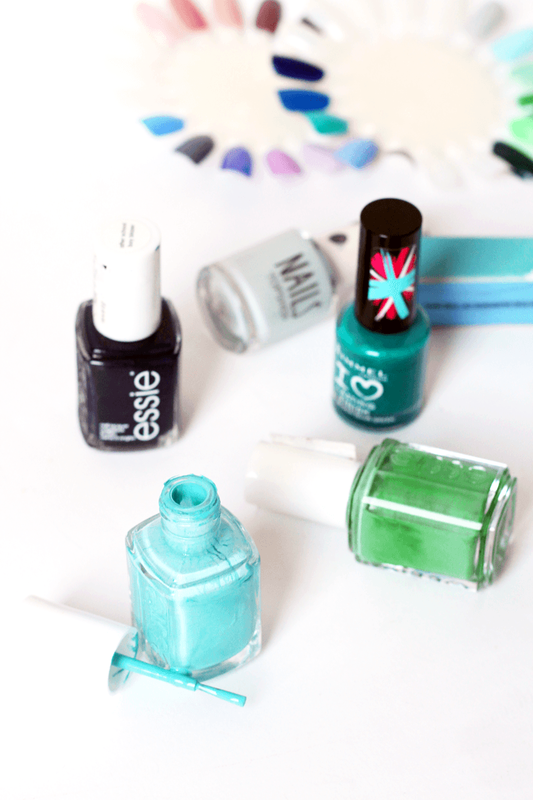 I know a lot might be skeptical about a green nail shade, but trust me it’s very pretty on! A paler shade comes next in the form of Topshop Tidal. I bought this a while back and wear it quite often, as it’s a lovely soft green-grey-blue sort of shade. Opaque in two coats, it’s a really pretty alternative to your standard pale nudes and pinks etc as it still acts as a neutral (I think, anyway!). 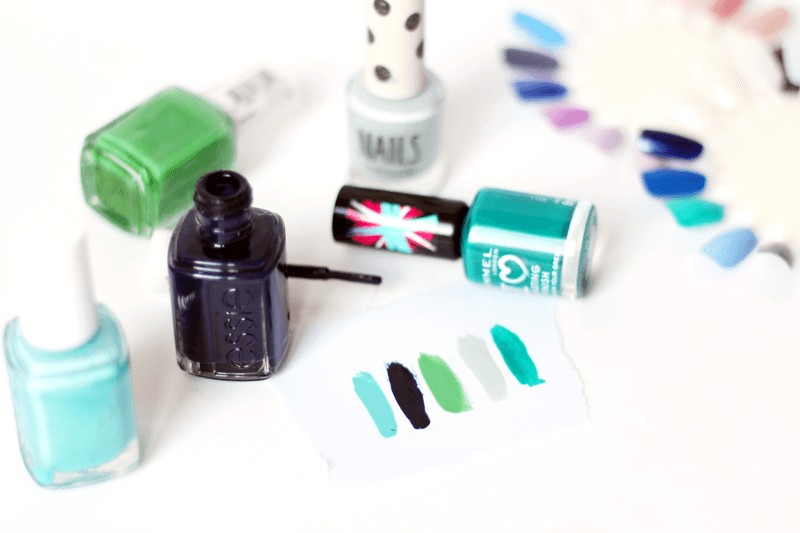 Finally, a shade that looks brighter in the swatch than on the nails, Rimmel Lasting Finish in Block Your Green. It’s a mid-dark toned green which I really like, as it adds a nice pop of colour without being too in your face. Wear a base coat with this one though, or you’ll end up with zombie hands when you try to remove it! Are there any shades you’re really loving at the moment? ps. Don’t forget to check out my £60 facial oil giveaway!